We don’t always make it to church on Sundays, but when we do, I leave feeling inspired, motivated. By the middle of the week, however, I feel like my soul needs nourishment again. I have a journal titled just that — spiritual nourishment — where I keep a collection of prayers, bible passages, and book quotes which are especially moving to me. One of my regular posts on Prayers and Piazzas will be something in this category of mid-week motivation, a phrase or saying that touches me and that I want to share with you all. I hope you enjoy! 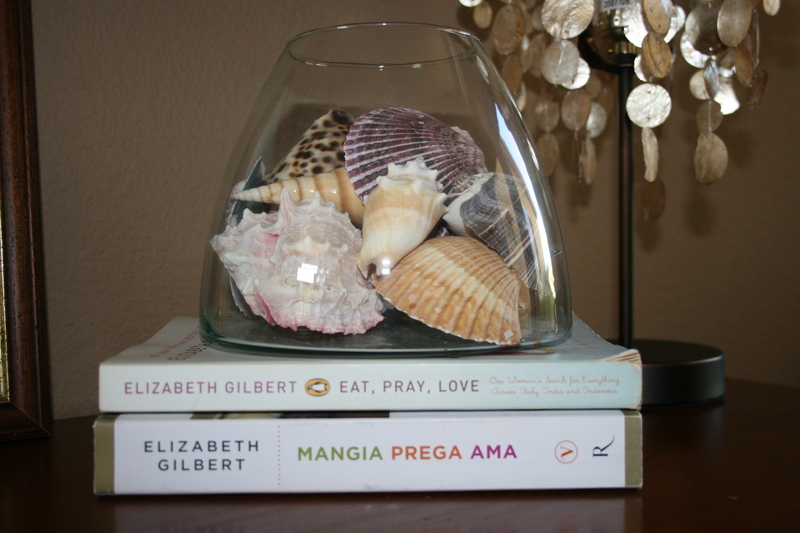 My first pick comes from my #1 favorite book, Eat, Pray, Love by Elizabeth Gilbert. I just learned that yesterday was the 10-year anniversary of her move to Rome, which started her yearlong journey of self-discovery that would eventually become Eat, Pray, Love. I have pages and pages of quotes from this book that are meaningful to me, but I will try not to overload you! Just wanted to let you know I’m ejoying this. Glad you did the blog. part of the fun for me is people’s reactions – thanks for sharing your thoughts!